Hand-crafted in the City of Angels, Mor & Dotter’s “designs for the sweet rebel” balances the wholesome charm of knitwear with edgy punk-inspired silhouettes. A sustainably notioned women’s ready-to-wear label from Brooklyn, Suzanne Rae is both inspired by and made for the progressive, modern gentlewoman. As feminine as they are feminist, its pieces are as minimalist in aesthetic as they are relevant in functionality. A knitwear collection that marries innovative forms and textures with functionality, Kordal is grounded by its twin philosophies of quality and American manufacturing. All its pieces are designed and produced in New York City with an eye toward inspiring creativity and wearability. 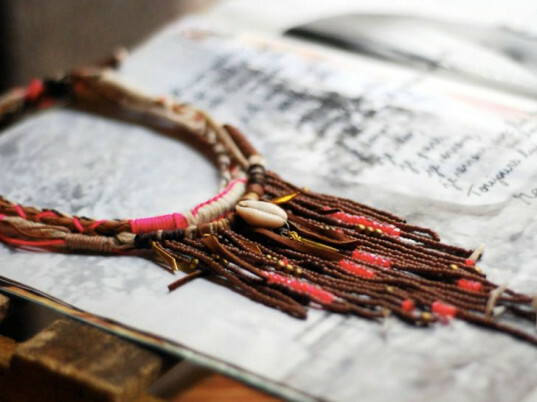 Driven by “chronic wanderlust,” Nomadic Thread Society transforms indigenous textiles from artisans and small producers around the world—India, Tunisia, Kenya, Guatemala, and Panama are just some of its ports of call—into clothing, accessories, and accents for the beach and home. Although Bluma Project calls Brooklyn home, the accessories label calls upon myriad influences that span the globe. And it’s no wonder: Beth Schaeffer travels to countries like Rwanda, Ghana, Peru, and the Philippines to train women producers to create the company’s jewelry and textiles, providing them with a sustainable income while they ply their craft. Founded by Juliane Camposano, Rosel offers sustainable, fair-trade designs with an all-American edge and a ’60s-sportswear-inspired vibe. A pima-cotton collection designed in New York and crafted in Peru, Pima Cotton employs a zero-waste philosophy that sees its leftover cuttings revived as sumptuous, one-of-a-kind knits. Calligrapher-turned-jeweler Emily J. Snyder creates small- and large-scale beaded works from her studio in Los Angeles. She recently collaborated with shoe designer Jerome C. Rosseau on a pair of bead-encrusted pumps that took her 82 hours to complete. Blair Lauren Brown describes her artisanal Americana-inspired jewelry as a “labor of love.” Handcrafted in Brooklyn by Brown herself, who is descended from a family of jewelers, each bauble isn’t just a means of adornment, but a story to be told. Based in New York City, Mathematics NYC combines aerospace and architectural technologies with traditional jewelry-making processes to create its signature “Hidden Message” necklaces, which are designed to reveal a secret word or phrase that has significance to its wearer. Designed in Los Angeles and handmade in Brazil, Charlotte Stone’s glam-casual kicks feature molded cork footbeds, natural rubber soles, and vachetta leather. 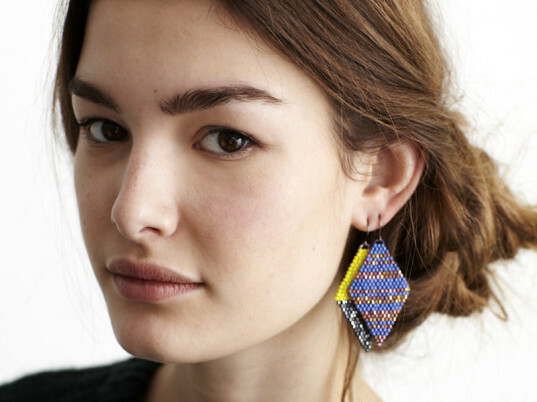 Founded in Peru, Sumaq Qara does more than deliver artisanal textiles to a global marketplace. The company also supports women who are victims of sexual and domestic violence by finding sales channels for their intricate handcrafted bags, belts, and decorative accessories. 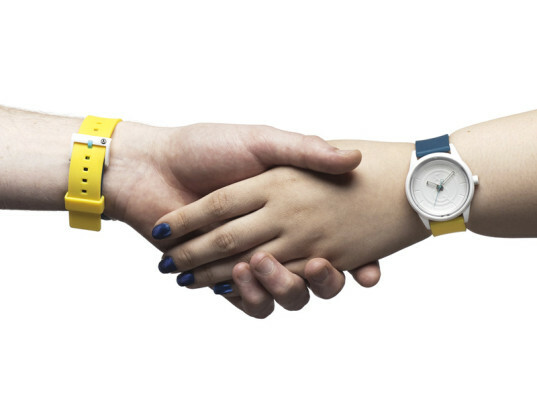 Q&Q produces a line of solar-powered watches that run for up to three-and-a-half months on a single charge. Crafted from both virgin and recycled materials, the watches also have an altruistic component: For every watch you buy, Q&Q makes a donation to Table for Two, a nonprofit that provides school meals to children in need in Africa and Asia. 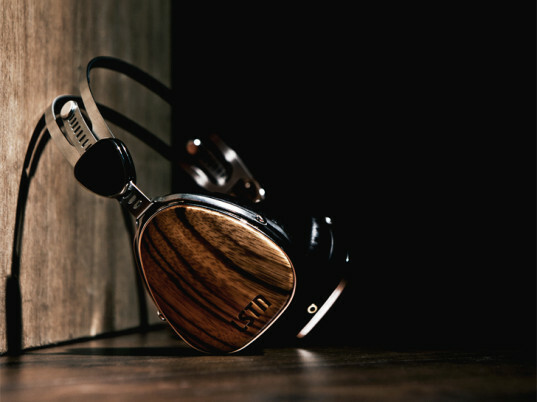 More than a audio company, LSTN uses its reclaimed-wood headphones as vehicles to restore the hearing of people in need through the Starkey Hearing Foundation. Westward ho! 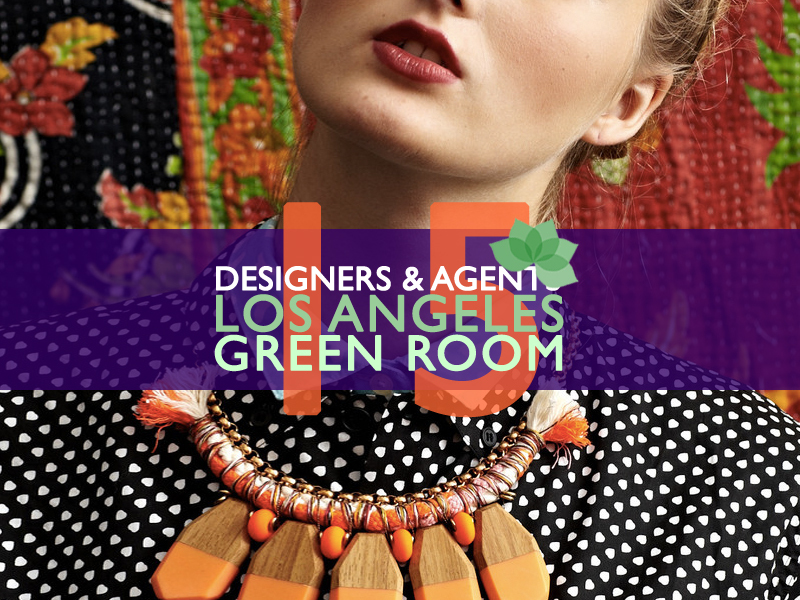 Drop by the Designers & Agents Green Room at Los Angeles's New Mart Building from now through June 11 to spot some of the best emerging eco-fashion brands and designers before they hit the big time. Want a taste of what to expect? Click through our slideshow for our quick who's who. Hand-crafted in the City of Angels, Mor & Dotter's "designs for the sweet rebel" balances the wholesome charm of knitwear with edgy punk-inspired silhouettes. A sustainably notioned women's ready-to-wear label from Brooklyn, Suzanne Rae is both inspired by and made for the progressive, modern gentlewoman. As feminine as they are feminist, its pieces are as minimalist in aesthetic as they are relevant in functionality. Driven by "chronic wanderlust," Nomadic Thread Society transforms indigenous textiles from artisans and small producers around the world—India, Tunisia, Kenya, Guatemala, and Panama are just some of its ports of call—into clothing, accessories, and accents for the beach and home. Although Bluma Project calls Brooklyn home, the accessories label calls upon myriad influences that span the globe. 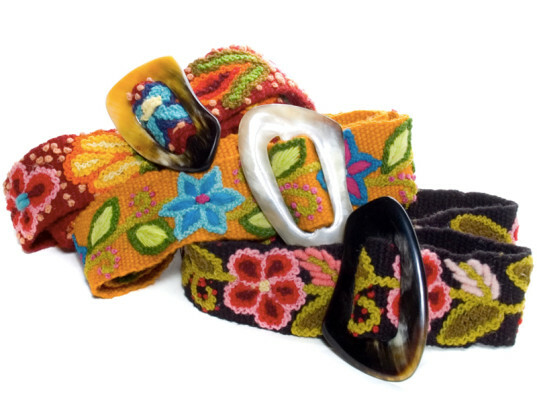 And it's no wonder: Beth Schaeffer travels to countries like Rwanda, Ghana, Peru, and the Philippines to train women producers to create the company's jewelry and textiles, providing them with a sustainable income while they ply their craft. Founded by Juliane Camposano, Rosel offers sustainable, fair-trade designs with an all-American edge and a '60s-sportswear-inspired vibe. L'atelier by Grid's Ingrid Thieblemont creates her jewelry from an eclectic blend of materials, including small silver feathers, ancient Peruvian currencies, and swathes of traditional Andean weaving. "All is mixed together to create a new gem," she says, "a bearer of many memories that will be for a single person, male or female, unique and authentic." 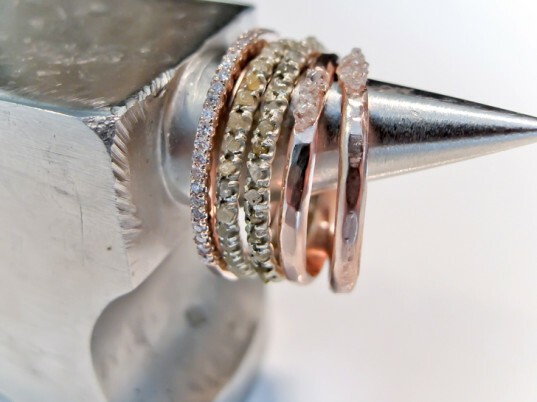 Blair Lauren Brown describes her artisanal Americana-inspired jewelry as a "labor of love." Handcrafted in Brooklyn by Brown herself, who is descended from a family of jewelers, each bauble isn't just a means of adornment, but a story to be told. Based in New York City, Beth Macri Designs combines aerospace and architectural technologies with traditional jewelry-making processes to create its signature "Hidden Message" necklaces, which are designed to reveal a secret word or phrase that has significance to its wearer. 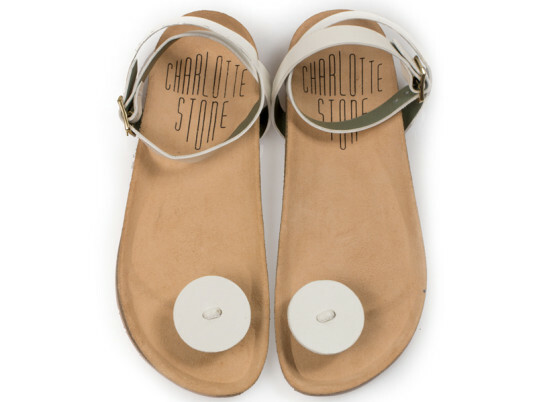 Designed in Los Angeles and handmade in Brazil, Charlotte Stone's glam-casual kicks feature molded cork footbeds, natural rubber soles, and vachetta leather.